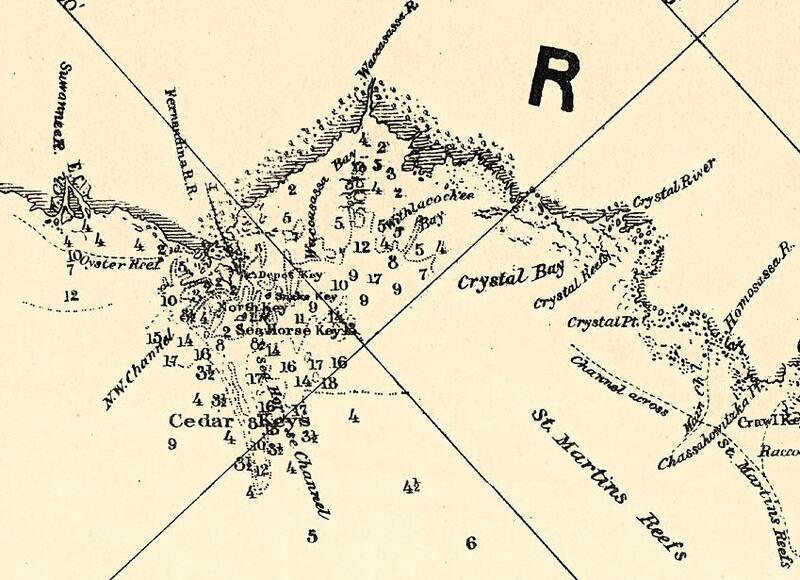 Description: This detail of a map of the Gulf of Mexico showing the Cedar Key area with surrounding islands and bodies of water, including bays and rivers current to 1861. Many channels and rivers are depicted in the detail. The depths and soundings are noted with numbers The map scale is 1:600,000.